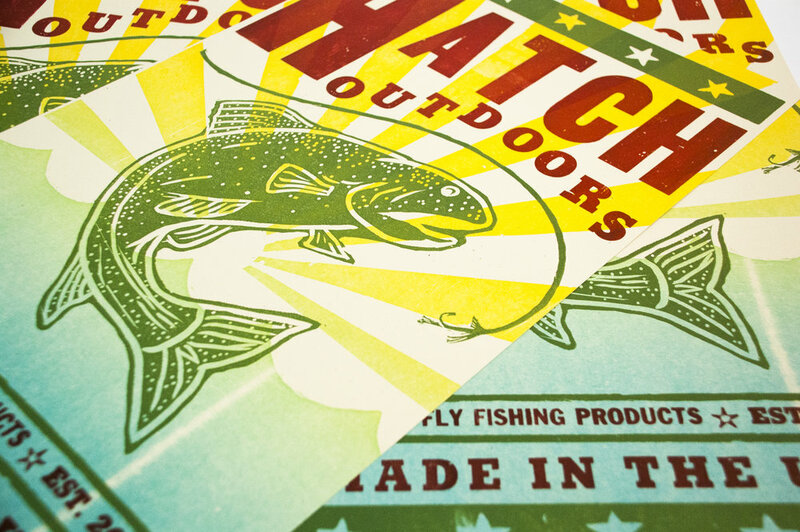 This poster is a job for Hatch Outdoors, a fly-fishing company. They wanted their poster to have that classic "Hatch Show Print" poster look while still highlighting their own company. They wanted to bring that "Americana" feel to the poster to emphasize their "Made in the USA." vision. For this poster, I did a custom carving of a western trout and fly-fishing line that compliments the setting of the type. The background is a a two-tone, split fountain printed onto a light craft paper. With two colors printed on top.